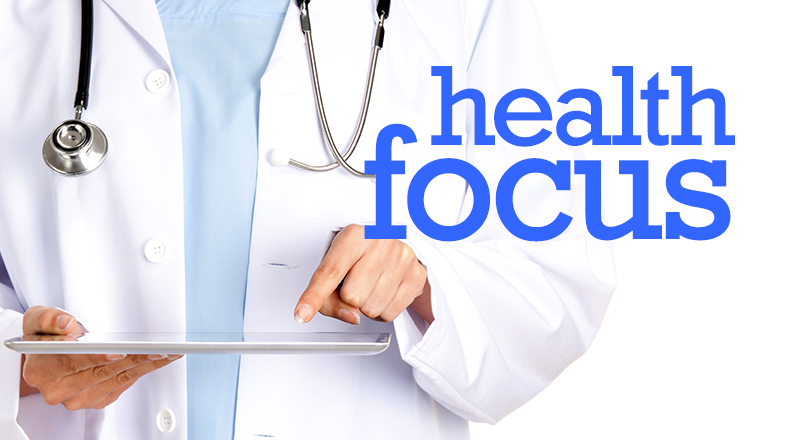 Doctors, medical professionals and researchers from the Medical University of South Carolina will be featured weekly in a series of radio interviews on South Carolina Public Radio called Health Focus. Award winning public broadcaster Bobbi Conner will host this series of health and medical features, covering a wide array of topics. Bobbi Conner has been producing and hosting public radio programs for over 30 years. She was the longtime host of the national Parents Journal public radio program. Conner has lived in the Charleston area for over twenty years. The MUSC professionals interviewed in this radio series are top experts and researchers in their field. Listeners will hear about the latest medical advances and new treatments on a broad range of topics; from diabetes, to childhood cancer treatments; from Autism research; to lifestyle changes to promote a healthy heart. 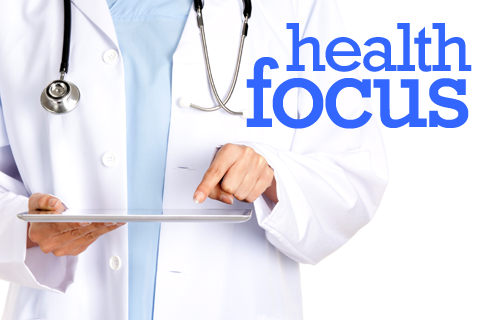 The Health Focus features air weekdays throughout the day. This week Bobbi Conner talks with Dr. Alyssa Rheingold about excessive worry and steps that an individual can take to reduce worry. Dr. Rheingold is a Professor in the Department of Psychiatry and Behavioral Sciences and Associate Director of the Sleep and Anxiety Program at MUSC. This week Bobbi Conner talks with Dr. Raymond DuBois about how emerging cancer research is incorporated into the education and training of medical students. Dr. DuBois is a leading researcher in the field of colorectal cancer and is the Dean of the College of Medicine at MUSC. This week Bobbi Conner talks with Dr. Nicholas Milano about Alzheimer’s disease and research. Dr. Milano is a Cognitive & Behavioral Neurologist and Assistant Professor of Neurology at MUSC. This week Bobbi Conner talks with Dr. Jodie Rush about back pain and common back injuries and physical therapy. Dr. Rush is an Orthopedic Clinical Specialist and Physical Therapist at MUSC. This week Bobbi Conner talks with Dr. Susan Newman about research underway to explore ways to help people with spinal cord injuries. Dr. Newman is an Associate Professor in the College of Nursing and a Certified Rehabilitation Registered Nurse at MUSC. This week Bobbi Conner talks with Dr. Jeffrey Winterfield about Arrhythmia or abnormal heart beats. Dr. Winterfield is a Cardiac Electrophysiologist and Director of the Ventricular Arrhythmia Program at MUSC. This week Bobbi Conner talks with Dr. Beatrice Hull about screening and treatment for Osteoporosis. Dr. Hull is an Endocrinologist and Director of the Center for Osteoporosis at MUSC. This week Bobbi Conner talks with Dr. Daniel Lackland about pre-hypertension. Dr. Lackland is a Professor in the College of Medicine and Co-Director of the Stroke Research and Education Center at MUSC. This week Bobbi Conner talks with Dr. Christopher Gross about training and preparing for run or walk in your community. Dr. Gross is an Assistant Professor and a foot and ankle Orthopedic Surgeon at MUSC. This week Bobbi Conner talks with Dr. Lindsay Squeglia about the largest ever, national research study related to adolescent brain development. Dr. Squeglia is a Clinical Neuropsychologist and an Assistant Professor in the Department of Psychiatry and Behavioral Sciences at MUSC. This week Bobbi Conner talks with Dr. Elizabeth Mack about parents providing support and being their child’s patient advocate when their child is hospitalized. Dr. Mack is a Pediatrician who specializes in Critical Care at MUSC Children’s Health. This week Bobbi Conner talks with Dr. Aljoesen Walker about Multiple Sclerosis. Dr. Walker is a Neurologist and Director of the Multiple Sclerosis Program at MUSC. This week Bobbi Conner talks with Ms. Melissa Montiel about speech disfluency or stuttering in childhood. Melissa is a Speech-Language Pathologist at MUSC Children’s Health. This week Bobbi Conner talks with Dr. Shane Woolf about common knee conditions and injuries in adults. Dr. Woolf is an Associate Professor and Chief of Sports Medicine in the Department of Orthopaedics at MUSC. This week Bobbi Conner talks with Dr. Leonardo Bonilha about seizures and epilepsy. Dr. Bonilha is a Neurologist and brain and language researcher at MUSC. This week Bobbi Conner talks with Dr. Daniel Lackland about the benefits of monitoring blood pressure at home for patients with pre-hypertension or hypertension. Dr. Lackland is a Professor in the College of Medicine and Co-Director of the Stroke Research and Education Center at MUSC. This week Bobbi Conner talks with Dr. Alyssa Rheingold about tips and routines to help manage stress. Dr. Rheingold is a Professor in the Department of Psychiatry and Behavioral Sciences and Associate Director of the Sleep and Anxiety Program at MUSC. This week Bobbi Conner talks with Dr. Mark Hamann about research related to natural products and also the development of medicine and treatments from these products found in nature. Dr. Hamann is the Cooper Endowed Chair of Drug Discovery and Biomedical Sciences and Public Health at MUSC. This week Bobbi Conner talks with Dr. William Moran about ways to stay physically fit in the older adult years. Dr. Moran is the McKnight Professor of Aging Research and Director of the Division of General Internal Medicine and Geriatrics at MUSC. This week Bobbi Conner talks with Dr. Lucinda Halstead about vocal health for performers, public speakers, teachers and others with extra demands on their vocal chords. Dr. Halstead is an Ear, Nose and Throat Physician and the Medical Director of the Evelyn Trammell Institute for Voice and Swallowing at MUSC. This week Bobbi Conner talks with Dr. Ruth Campbell about nutritional choices designed to help patients living with Chronic Kidney Disease. Dr. Campbell is a Professor of Internal Medicine and Nephrology at MUSC. This week Bobbi Conner talks with Dr. Gayenell Magwood about community-based research underway in South Carolina looking for ways to improve stroke recovery for all African Americans. Dr .Magwood is a Professor in the College of Nursing and a Nurse Researcher at MUSC. This week Bobbi Conner talks with Ms. Rene Garrison about Physical Therapy and also self-care for cancer survivors. Rene is a Physical Therapist and Certified Lymphedema Therapist at MUSC. This week Bobbi Conner talks with Dr .John Cox about Asthma treatment and essential guidelines for using Asthma medications correctly. Dr. Cox is a Clinical Professor of Pulmonary and Critical Care Medicine in the College of Medicine at MUSC. This week Bobbi Conner talks with Dr. Michael Schmidt about research exploring the role that the human microbiome plays in good health and in disease. Dr. Schmidt is a Professor and the Vice Chair of Microbiology and Immunology at MUSC. This week Bobbi Conner talks with Dr. Jodie Rush about common knee problems and physical therapy. Dr. Rush is an Orthopedic Clinical Specialist and Physical Therapist at MUSC.